Jeremy Allaire is CEO and founder of Brightcove, a global provider of cloud-content services that offers a family of products and developer tools used to publish and distribute professional digital media. 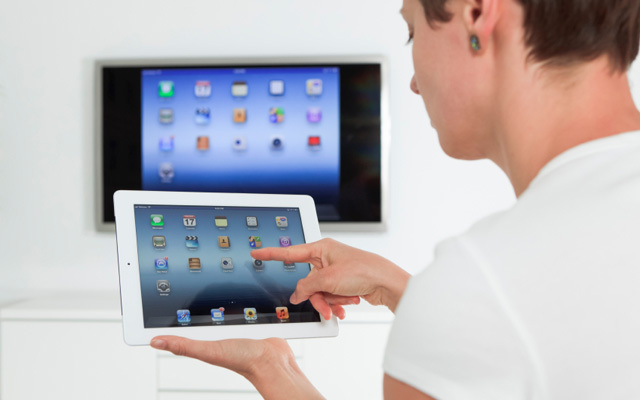 Dual-screen apps are a new phenomena, enabled by the advent of wireless technologies that allow for effortless pairing of a PC, tablet or smartphone with a TV. They are changing how people are interacting and “consuming” content within apps. For developers this creates many new opportunities to provide better experiences for their users, but it requires thinking about dual-screen setups from the start as well as new tools. The opportunity for dual-screen apps is huge. And it’s more than just watching a video or playing a game: Dual-screen apps have the potential to transform the office meeting room, the classroom, the retail store, the hospital, and really any other context where people are interacting around content and information and where that information would benefit from rendering and display on a large screen such as a TV monitor. Today, the predominant user-experience model for software and applications online is a single screen. We browse web applications on a desktop PC, mobile browser or tablet browser and interact with and consume content and applications on that screen. It is very much a single, individual user task. Likewise, we install apps onto these devices and consume and interact with information, perform tasks, make purchases, etc. through these apps. Again, this is a solitary single individual task. As a result, when software creators plan their applications, they are typically designed and developed with this single user, single-screen concept in mind. Dual-screen apps change all of that by shifting the software and user experience model from one user to potentially many, and from one screen (PC/phone/tablet) to two screens (phone/tablet and TV monitor). From a software development and user-experience perspective, the large monitor (which is the true second screen — versus the standard concept that considers the tablet as the second screen) becomes an open computing surface where one can render any form of application functionality, information, data and content.